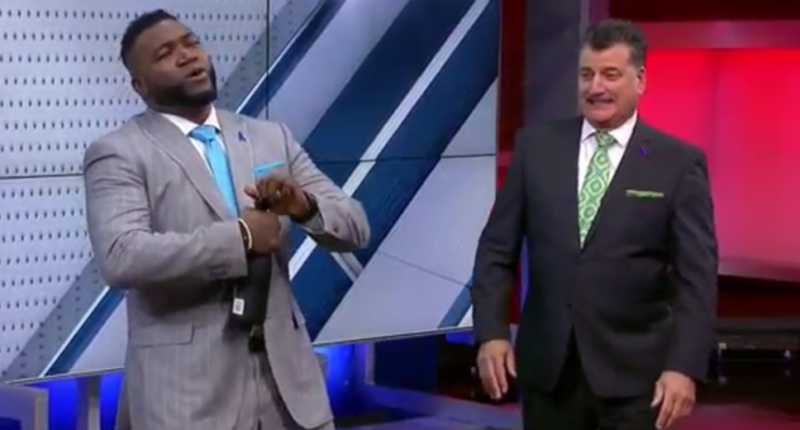 Ortiz showed off his champagne-spraying skills, while Keith Hernandez ducked out of the way, then returned to take a swig. You have to love Hernandez wandering back over after the spray ends, setting the bottle back upright and taking a swig. And the slow-motion replay is also gold, especially for the expression on Hernandez’s face. The MLB on Fox cast has been praised for their lighter approach and their chemistry, even in the wake of personnel changes this year (with Ortiz and Hernandez replacing Pete Rose), and this was another example of that.